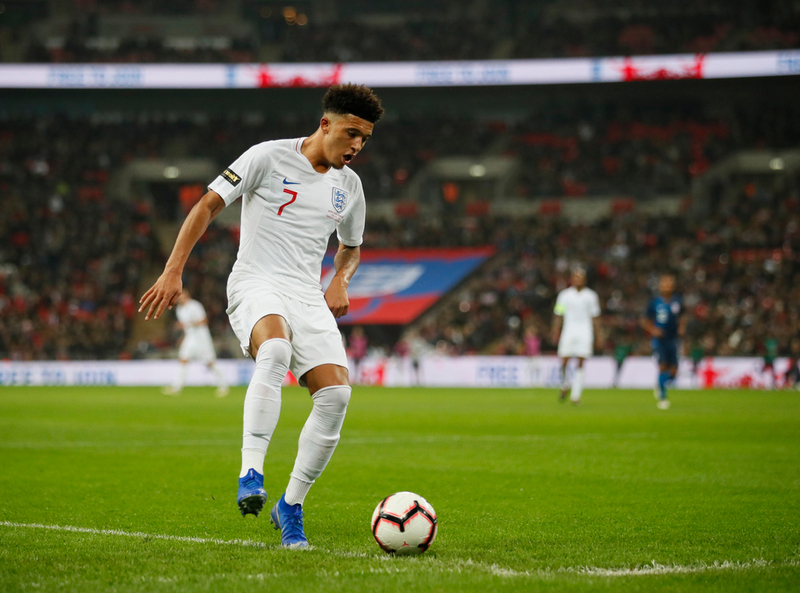 Jadon Sancho: Is he the real deal? 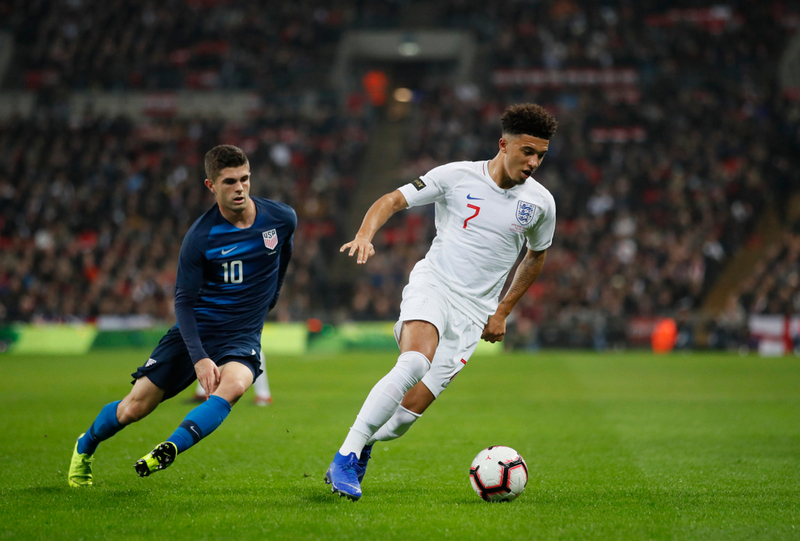 Jadon Sancho lived up to the billing in his full England senior debut against USA on Thursday night. Great expectations preceded young his full senior England debut. So much was expected of the Borussia Dortmund winger, and he didn't disappoint. It's too early to say categorically that England have a star on their hands, but they just might. The 18-year-old didn't look a step out of place as he made his full debut against USA on Thursday night. England romped to a 3-0 win in Wayne Rooney's farewell, but on a night when the nation said goodbye to a hero of the past, it was the youngsters who stole the show, showing the future is bright, showing Wayne Rooney that he leaves with his nation's team in good hands. Jadon Sancho was a part of that, the youngest player on the pitch, but it showed not. He was calm, composed and full of energy. The highlight? An assist in which he showed calmness and presence of mind in the box to keep the ball and set up Alexander Trent-Arnold to score England's third. However, that was just one of the many high-quality examples on an excellent debut for Sancho. He was lightning off the mark, precise in his passing and wonderfully unpredictable in his trickery. The winger left the Wembley pitch having made quite the impression. If there were questions why he was being handed his debut at such a young age, they were answered. But where does he go from here? Will he start against Croatia in that all-or-nothing final game in the Nations League group stage? Probably not. It's unlikely Gareth Southgate will start Sancho in such a big game. Nor should he. There will be arguments that you can't drop a player on the back of such a performance, however young, but there are more important factors at work. The 18-year-old has already played in high pressure situations in the Bundesliga, but international football is different again and it would be unfair to put such immense pressure on his shoulders. He's coming off the back of a wonderful debut, a game that will stay in his mind forever, and he doesn't want to have that tainted by risking a poor performance against Croatia. Of course, there comes a time where he will have to put up with the pressure, he will have to prove himself in tough situations, but that time shouldn't come just yet. 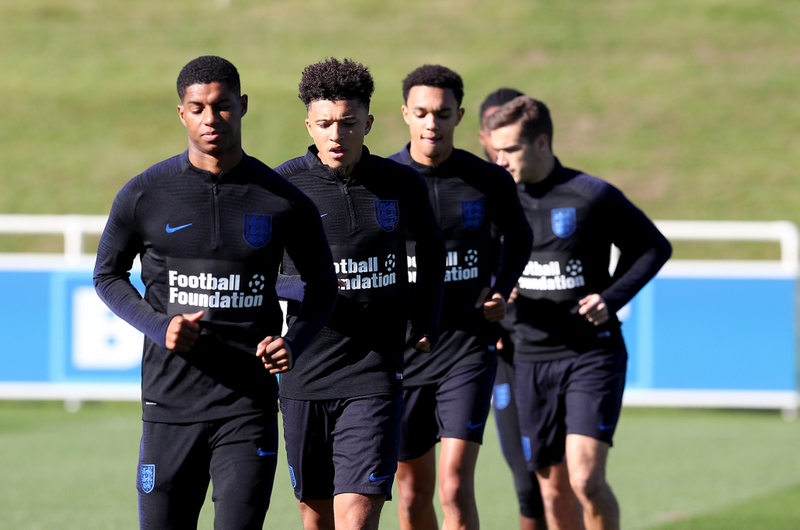 You've got to be careful how you deal with young players and Southgate knows that more than most. It's also important to consider that England are playing an excellent Croatia side, World Cup finalists. This isn't a managerless USA team who haven't played a competitive game of football since before the World Cup. This is a game for Southgate's trusted wingers to go at it from the start, Raheem Sterling, Jesse Lingard or Marcus Rashford. Make no mistake, Sancho will be in contention to come off the bench - as he did in Croatia - and make a difference with his care-free, pace-filled style and you can bet he'll get a great reception from the Wembley faithful when he does. As he will for years to come if this performance and his displays in Bundesliga are anything to go by. It's always difficult to predict just how good young players will be. We've been there with other England players as well as many others across the globe who were tipped for greatness, only to settle for mediocrity. But Jadon Sancho doesn't feel like one of those cases. This is a lad who made an impressively brave decision to join Borussia Dortmund from Manchester City. This is a player who clearly wants to improve, he wants to dive into the deep end to ensure he gives himself the best chance of reaching his potential. And we can all agree that from what we've seen so far, the sky is the limit for Sancho.